I contacted the source, Willow Creek Gardens who responded quickly said they were seeing the same thing in the Lemon Limes they had bloomed out! They were getting in touch with their grower to figure what was going on. In the meantime, they offered to send me another Amaryllis as a replacement , which is what I expect a quality retailer to do. I selected ‘Beneficia’ which is on the opposite side of the color spectrum, a deep rich burgundy red. Likely, the global economic recession has had much to do with this, but possibly there is also some shake-out also going on in the industry. When it all settles down, lets hope the top quality growers and suppliers float to the top. Dedicated breeders spend much time with a toothpick, painstakingly creating new hybrids. Then, selecting and multiplying amaryllis for commercial release is a time consuming process that can take almost a decade, in some cases. Growers, brokers and retailers have a responsibility to maintain high standards so that consumers, without whom there would be no amaryllis industry, are satisfied with the bulbs they receive, and of course, the flower quality. Back to the Lemon Lime, the question remains whether this is a) another hybrid b) some sort of sport of lemon lime, or the result of c) unusual temperatures or other growing factors that affected the plant at the cellular level when flowering was first initiated? If you have any ideas, please let me know by leaving a comment below. Could it be that the Lemon Lime you received might be a seedling and as such it is showing its genetic diversity? …or are amaryllis now mericloned? ….in which case the industry is seeing an increase in abnormalities due to that process. Which ever the source, it is pretty! 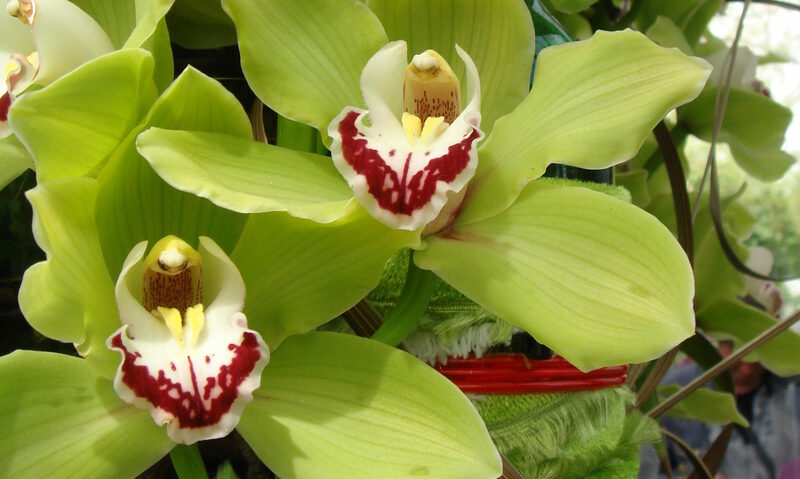 Flower abnormalities, specifically pyloric flowers, in Moth Orchids are frequently ‘epigenetic’ in origin and the plants can revert to a normal bloom on the next cycle. I wonder what it will do next year?